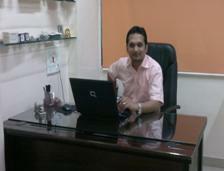 Lakshmi Electrical Industries designs, manufactures and exports Industrial Electric Heaters, Controls and Equipments. We manufacture and Export all types of Industrial Heaters, Heating Elements, Band Heaters, Mica Band Heaters, Cartridge Heaters, Heating Equipments, Ceramic Band Heaters and Water Heaters. Over 50 per cent of our revenues flow from our overseas business spanning 30 countries. We are today focused on innovation and technology to fuel us forward. Today we are the only Indian company to have the largest portfolio of Heaters and Equipments to suite every possible heating needs. 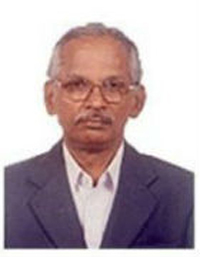 Mr. Kumar Nair founded our Heater Manufacturing business in the year 1971. Mr. Nair promoted Electrical heating as a new and better alternative to gas heating which is both hard to control and confine and steam heating which is expensive to install and maintain. As our customers Industrial heating applications expanded our company responded with innovative new products which soon became the industry standards. Our company “LAKSHMI ELCTRICAL INDUSTRIES” is now headed by Mr. SUJIT NAIR an Electrical Engineer with more than 23 years of experience in this business. Under his leadership the company has grown multiple times unleashing new modes of thinking, manufacturing processes and bringing to life unimagined possibilities. LAKSHMI ELECTRICAL INDUSTRIES is now recognized as a truly Global Heater manufacturer. We Export heaters to Egypt, Iran, Turkey, Saudi Arabia, Yemen, UAE Dubai, Sharjah, Abu Dhabi, Israel, Jordan, Oman, Kuwait, Qatar, Bahrain, England, Poland, Switzerland, Malta, Croatia, Cyprus, Ukraine, Lithuania, Latvia, Belarus, Armenia, Thailand, Vietnam, Cambodia, Myanmar (Burma), Nepal, Sri Lanka, Bhutan, Indonesia, Malaysia, Singapore, Philippines, Australia, New Zealand, Fiji, Maldives, Mauritius, USA, Canada, Mexico, Argentina, South Africa, Ethiopia, Kenya, Nigeria, Sudan, Ghana, Tanzania, Uganda, Namibia, Congo, Zimbabwe, Zambia, Malawi, Russia, Uzbekistan, Tajikistan, Kazakhstan, Panama and Bangladesh. Maharashtra: Mumbai, Pune, Nagpur, Solapur, Ahmednagar, Nashik, Aurangabad, Chiplun and Kolhapur. Gujarat: Ahmedabad, Surat, Daman Silvassa, Rajkot and Vadodara. Delhi, NCR: Noida, Gurgaon, Faridabad and Ghaziabad. Rajasthan: Jaisalmer, Dungarpur, Banswara, Barmer, Bikaner, Jodhpur, Jaipur, Nagaur, Udaipur and Kota. Madhya Pradesh: Guna, Khandwa, Bhopal, Rewa, Satna, Jabalpur, Murwara, Burhanpur, Dewas, Ujjain, Bhind, Ratlam, Indore and Gwalior. Haryana: Sonipat, Bhiwani, Hisar, Faridabad, Karnal, Jind, Ambala, Gurgaon, Panipat, Rewari, Ambala, Thanesar, Yamunanagar, Kaithal, Rohtak, Sirsa and Bahadurgarh. Tamilnadu: Thoothukudi, Coimbatore, Erode, Salem, Tirunelveli, Tiruppur, Vellore, Tiruchirappalli, Chennai and Madurai. Andhra Pradesh: Karimnagar, Nizamabad, Ramagundam, Kakinada, Kapra, Visakhapatnam, Tirupati, Warangal, Rajamahendri, Nellore, Hyderabad, Vijayawada, Secunderabad, Guntur, and Anantapur. Karnataka: Mysore, Mangalore, Surathkal, Bangalore, Belgaum and Manipal. Kerala: Palghat, Thrisur, Trivandrum and Chengannur. One of our greatest strength is the quality of our people. We support and encourage, we challenge and stimulate. Sharing Knowledge has been at the heart of Lakshmi Electrical Industries management approach since inception. The Knowledge Sharing Programme is designed to speed the flow of best practices and technique around the Company. This programme has been a major contributor to our extraordinary success. That to be able to deliver the range and quality of products customers demands from a modern Heater manufacturer and must have the scale and worldwide presence to do so competitively. Today, Lakshmi Electrical Industries is the one of the truly global Heater manufacturer with exports to USA, Canada, U.K, Spain, Malta, Dubai, Sharjah, Abu Dhabi, Nigeria, Kenya, Saudi Arabia, Qatar, Kuwait, Lebanon, Iran, Oman, Egypt, Australia, New Zealand, Malaysia, and Singapore Our global reach brings many benefits. Operations support one another by generating product synergies and sharing know-how. All benefit from the improved purchasing power that scale offers. A comprehensive portfolio of Top end Industrial Heaters allows Lakshmi Electrical Industries to deliver whatever our customers require – and wherever they require it. Lakshmi Electrical Industries is helping shape the future of “Generation Next” Heater manufacturing Techniques involving Computer designs, CNC and Laser machines compatible to our computer software to produce high-end Heater products at breath taking speeds. But our goal is to be admired for our culture and for the quality, service and management standards that we follow than just be more successful. It is that implies.